The coming-of-age Taiwanese drama The Outsiders <鬥魚> is confirmed to be getting a film adaptation! The original 2004 series was based on the book Little Daisy <小雛菊> written by Luo Xin (洛心). 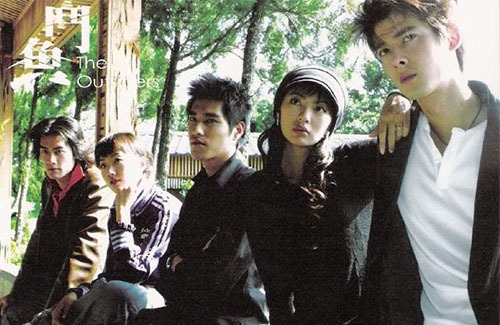 Hailed as the Taiwan version of Young and Dangerous <古惑仔>, The Outsiders aired in Taiwan to record-breaking ratings and pushed young actors like Dylan Kuo (郭品超), Ady An (安以軒), and Blue Lan (藍正龍) to instant fame, all who were still rookie actors at the time. The drama’s ending theme song “Lydia” was also a chart-topping hit, pushing F.I.R. (飛兒樂團) to relevancy even before the group’s official debut. During an interview last August, author Luo Xin dropped a hint to the press that Little Daisy would be getting a film adaptation. Today, The Outsiders producer Ko Yi-ching (柯宜勤) finally confirmed that a film adaptation is in the making. Reporters reached out to Ady An for comment, who responded through her manager that she hasn’t received a casting notice.